This is a fascinating kaleidoscope of a book. Carl F. Flesch is the son of the famous German violinist Carl Flesch (1873-1944) and grew up in the Berlin of the 1920’s and 30’s. He thus came into almost daily contact with some of the foremost musicians of the day – Furtwängler, Kreisler, Schnabel, Heifetz, Nikisch, Rosé, Szigeti, Thibaud, Huberman – including, of course, his father’s pupils – Rostal, Szeryng, Haendel, Neveu, Hassid, and many others. 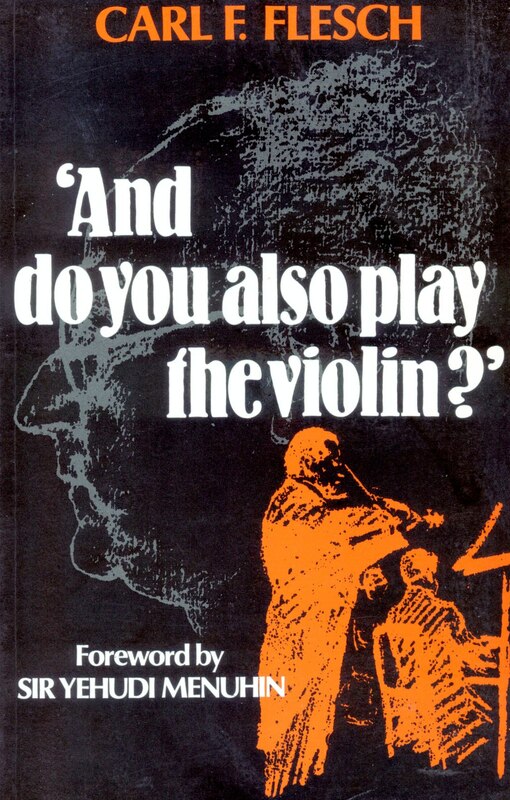 ‘And do you also play the violin?’ was a question he was frequently asked as he grew up, and it explains his intention in writing this book: he had, in his words, ‘a ringside seat’ to observe these musicians from close quarters and writes about the men and women behind the famous names. He also examines, often with some humour, the relationship between teacher and pupil, the pressure on public performers, life as the child of a famous parent, the effect on German musical life of the Nazi’s accession to power.